Australian wellness company PuraHealth today opens up shares in its wellness brand that has attracted global attention, kicking off its first Equity Crowdfunding campaign on leading platform Equitise.The Australian owned health brand and leading supplements provider intends to raise $600,000 at $1 per share and will for the first time allow everyday Australians to invest in its fast growing, transparent business. 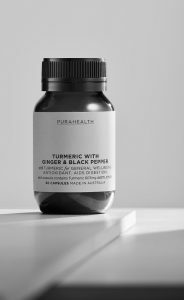 Founded by the well known model Georgia Nissen the original Redheads matchbox face, PuraHealth hasce mented itself as a prominent place in the wellness sector, pairing elegant design with a focus on purity and efficacy. supplements market and offering a unique point of difference. “Increasingly (and understandingly), consumers want full-disclosure on everything they’re putting into their bodies. 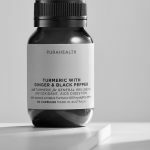 Purahealth is actively listening to its customer base and is in the midst of developing a 100% all natural range that also boasts a sleek, environmentally conscious and thoughtful packaging. The new packaging is not only eye-catching on the shelf but looks even better on bedside tables and desks,” she said. knowledgeable and health-conscious community of advocates to join us on this journey. By sharing our vision for full disclosure, maximum efficacy and 100% natural ingredients, we hope to raise not only awareness, but also the capital required to accelerate our product development, marketing initiatives and fully transparent labelling. Together, we can diversify sustainably, delivering the safest, purest and most honest dietary supplement choices long into the future,” says Nissen. PuraHealth is an Australian-made product produced in best-practice certified facilities, is TGA-listed, FDA compliant and subjected to extensive quality testing and controls, backed by solid scientific data and a tradition of use. In Australia, vitamin manufacturers aren’t legally required to detail the full list of ingredients used, this means that synthetic binders and fillers typically go unmentioned that PuraHealth plans to disrupt. The wellness brands products are sold worldwide via its online store, as well as through Urban Outfitters in the US and select retailers and distribution partners in Australia, China and Hong Kong. The Equity Crowdfunding raise will fast track PuraHealth’s plans to capture a significant share of the $4.7 billion complementary medicines market in Australia and multi-billion dollar Chinese and US markets that have already shown interest. According to Austrade, in 2016 formal complementary medicine exports increased from $156.3 million to $399.5 million. Purahealth is designed for aware, wellness seeking individuals that are disengaged with mass-market offerings they are embracing clean-label, authentic and aspirational alternatives to integrate into their conscious lifestyles. Purahealth already has an established audience, and of particular note is the growing consumer base from the Chinese community within Australia, and wellness advocates living in the US. • New and traditional retailers entering the wellness space such as Cap Beauty, Credo Beauty, About Life, Nourished Life, David Jones, Follain, Mecca Cosmetica, The Detox Market, Nordstrom, Lane Crawford, Wholefoods and Net-a-Porter. The current PuraHealth range provides support in the vital areas of cardiovascular, and digestive health and includes: COQ10 150mg, RRP $39 AUD for cardiovascular health and to support the production of energy; and Organic Turmeric with Ginger & Black Pepper, RRP $39 AUD – for general wellbeing, to help support healthy liver function and aid digestion.